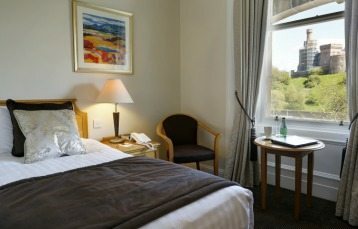 Your rest and sleep is very important to us at the Best Western Inverness Palace Hotel & Spa. You’ll enjoy all the facilities you expect to help you sleep, a stylish 3 star hotel, plus a few extra touches which make the Palace that little bit special. They are all front facing period bedrooms with lovely views of the River Ness and Castle. All these rooms are individual due to the age of the hotel so they offer lovely decor, quality soft furnishings, ensuite, free wifi, flat screen tv and newly upgraded bathrooms. 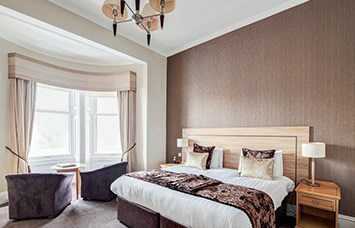 Decorated using Farrow and Ball colours, quality wall papers and soft wool carpets you’ll enjoy stunning views of the River Ness & Inverness Castle. 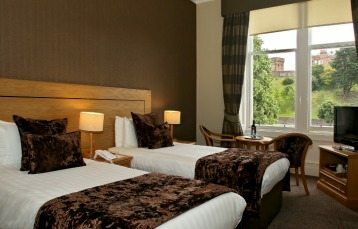 River View rooms are an upgrade which you can select for an additional £50 per room per night. River View rooms are individual and your twin bedroom includes little extra touches like mineral water and shortbread in your room. The River View twin room is perfect if you want a unique period bedroom. Upgrade for an additional £50 per room per night. 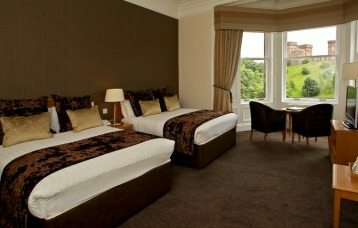 Please note we cannot guarantee River View rooms unless you have booked this room type as they are very popular. Classic Double room - are located in both the period & contemporary parts of the Palace. 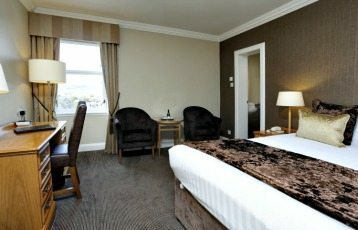 The Classic room offers you a good sized bedroom with newly refurbished bathroom, flat screen TV and tea & coffee tray in your room plus free Wi-Fi. Perfect for a weekend escape or a business trip - you have space to relax in and spread out. Classic Twin Room - choose a period and contemporary room. 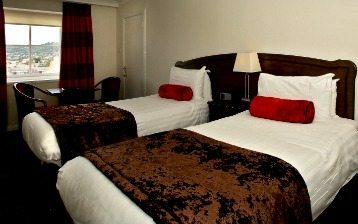 Classic twin room offers you a good sized bedroom with newly refurbished bathroom, flat screen TV and tea & coffee tray in your room plus free Wi-Fi. This room is perfect for friends travelling together, families and couples. 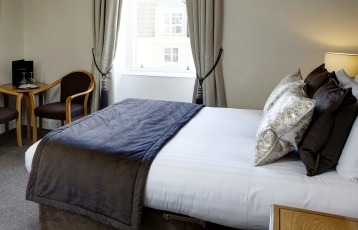 Cosy Double room - choose from a period or contemporary room. The Cosy room offers you all the good stuff only smaller more compact. There are 8 cosy doubles, all with double bed, ensuite shower and all the Palace extras. This room is perfect for short stays or individual travelers. Classic Single Room - these are compact period single rooms. They are a reminder of years gone by for the single traveller but are stylishly furnished. You'll enjoy a refurbished bathroom, flat screen TV and tea & coffee tray in your room plus free Wi-Fi. This room type is ideal for short stays. Luxury Family Rooms - are large spacious rooms with two double beds. These rooms can sleep 2 adults and 2 children and are perfect for a family break. They offer lovely decor, quality soft furnishings, free Wi-Fi, flat screen tv and newly upgraded bathrooms. Families come in many sizes so other options are double room with single bed, double room with sofa bed, double room with twin beds. Please contact us on 01463223243 for family rooms.